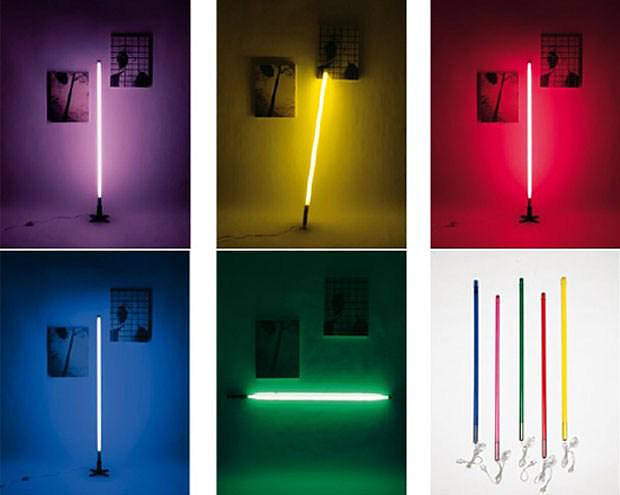 HomeBlogHome DecorSeletti Fluobar fluorescent neon lamp. 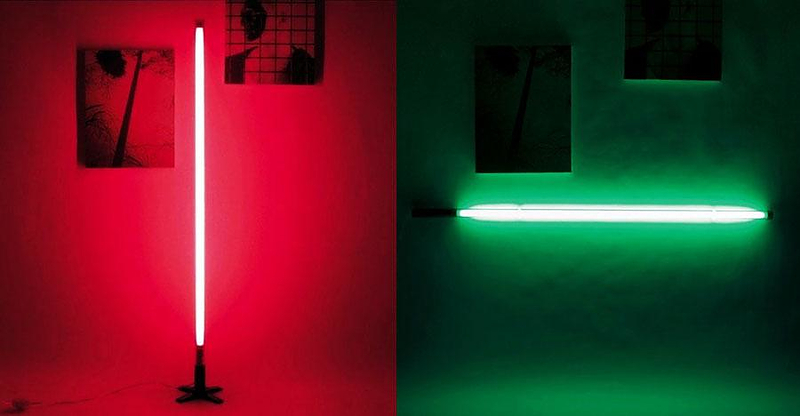 The Seletti Fluobar fluorescent neon lamp redefines the stylistic approach of neon lamps, by transforming them into a stylish, sleek, minimalist light source. The concept is simple and ingenious, strip out everything not absolutely necessary. 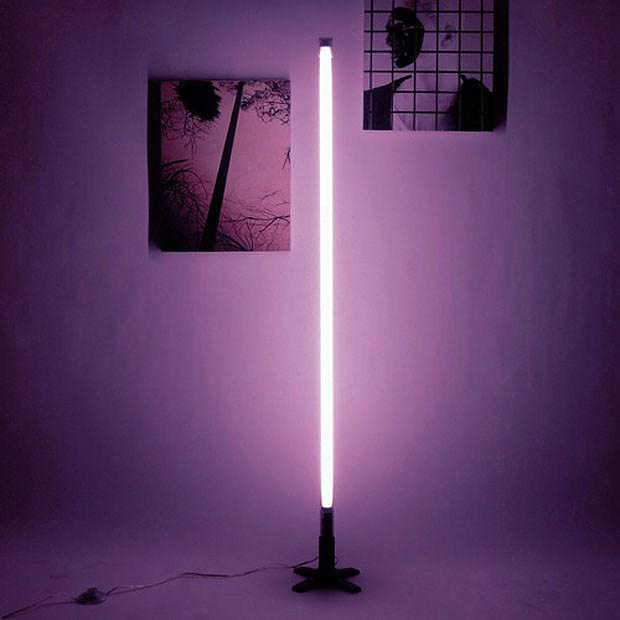 The fluorescent neon lamp is placed inside an acrylic tube that conceals all the plugs and cabling. 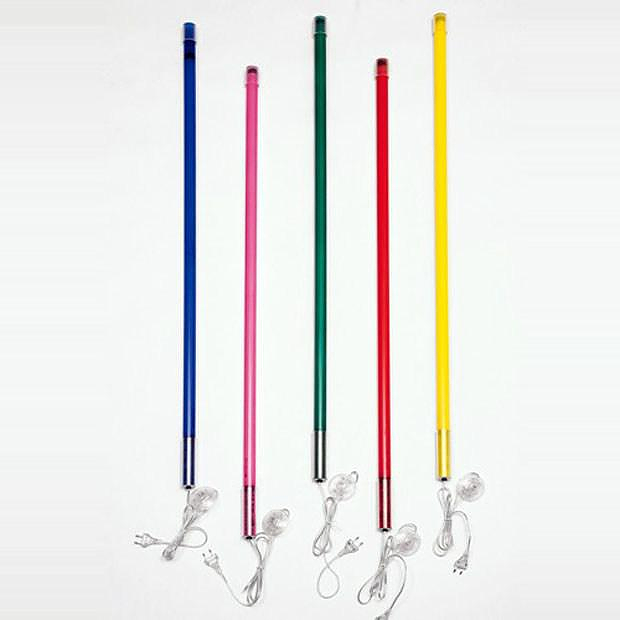 The trick is the plugging system, rather than using a conventional socket, the fluorescent lamp is stabilized using the external acrylic tube, and is powered via a hair-thin wire totally invisible to the eye. 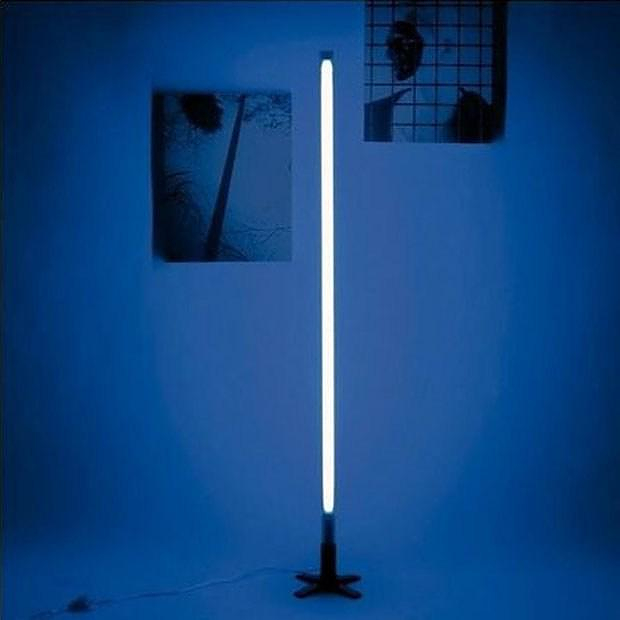 The end result is an utterly minimalist atmospheric lamp that looks like a thin colored stripe of light. Much like Darth Vader’s Lightsaber, reinterpreted as a lamp. 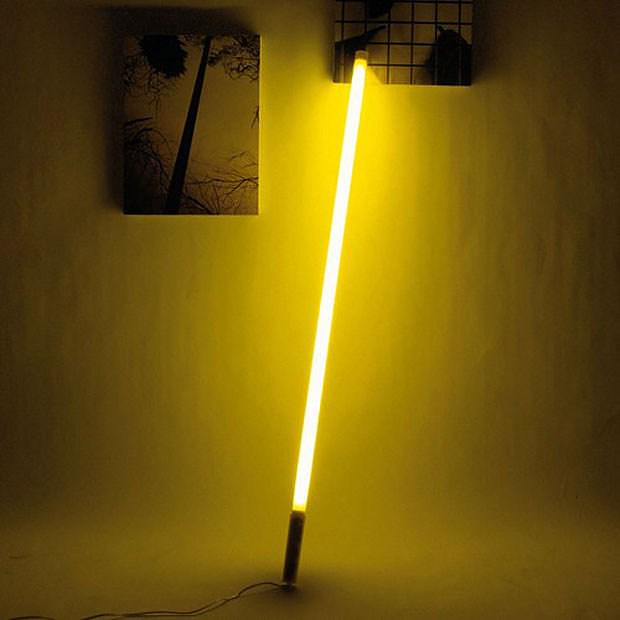 Another advantage of the design is that the outer tube also serves as a light filter. 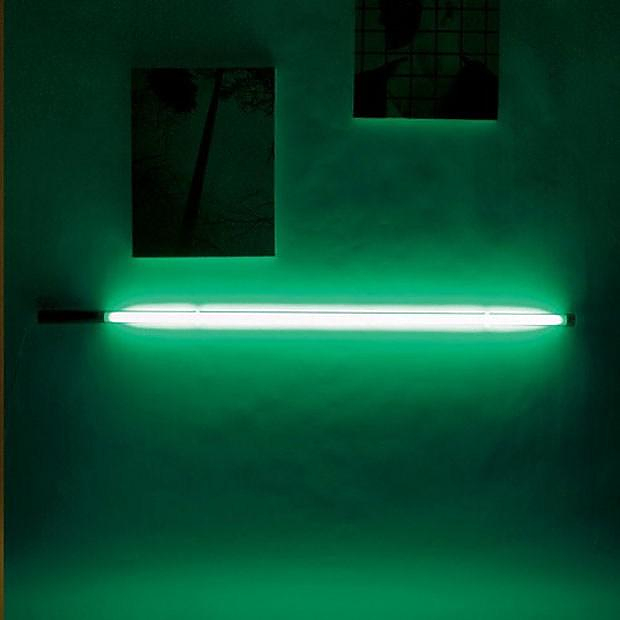 It softens the intense and bright glow of the fluorescent lamp, and produces a subtle, cool, atmospheric light. If the lamp needs replacing, no worries, you just need a standard size white fluorescent lamp and you always get the exact same color of light. Finally the Seletti Fluobar is also an extremely versatile light fixture. 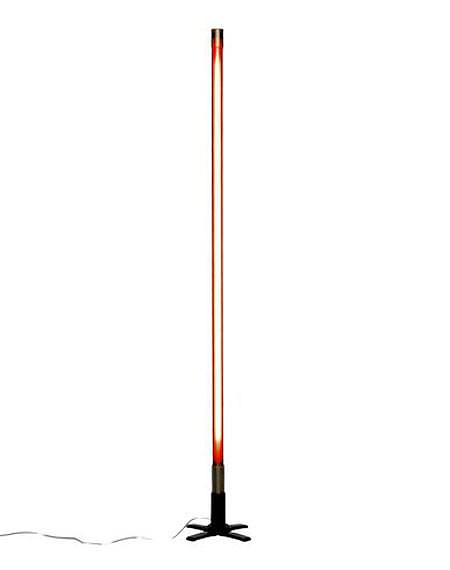 Using the supplied mounting hardware you can easily make it a floor standing lamp or mount it on the wall and use it as a wall lamp. With a little effort you could even suspend it from the ceiling and make it a pendant lamp. 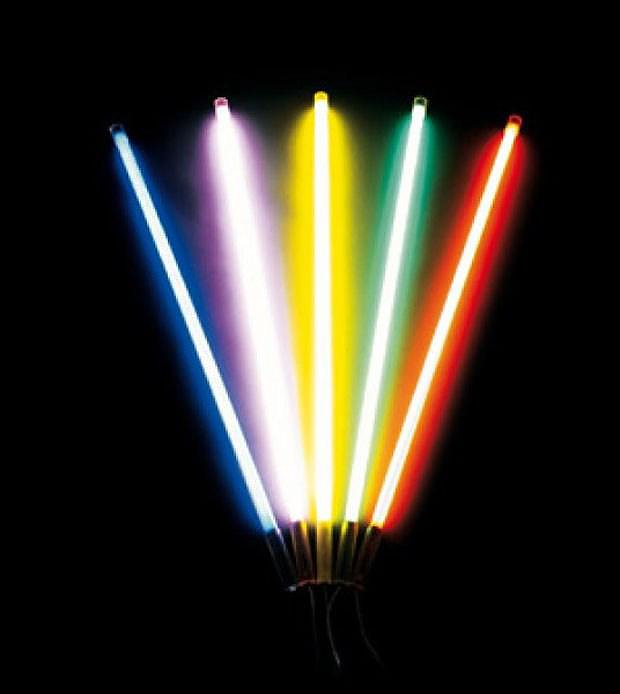 No matter how you use it the Seletti Fluobar is a sleek, stylish and cost effective solution to add atmospheric lighting to any space. And as a bonus you get that Futuristic, Sci-Fi “Star Wars” effect. 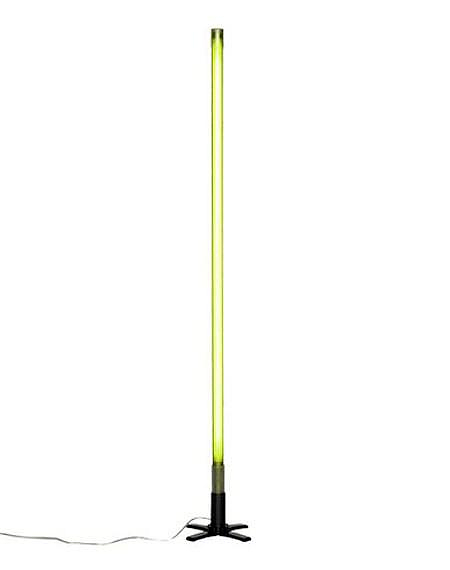 My sister got me one of these for Christmas and I was very excited to install it but after constructing it at home I realized that somewhere along the way the bulb had broken. I couldn’t figure out for the life of me how to replace it and this is the closest I’ve come to evidence that it is possible so any advice or instruction you could give or point me in the direction of would be greatly appreciated. Dear Grace, thank you for your comment. Sadly you are out of luck on this one, the bulb is not replaceable. If the bulb gets broken, or burned out the lamp is unusable. Seems odd indeed but sadly this particular products comes with this downside.